“As you may know, Hap did not keep records of the boards he made, unlike Bing. 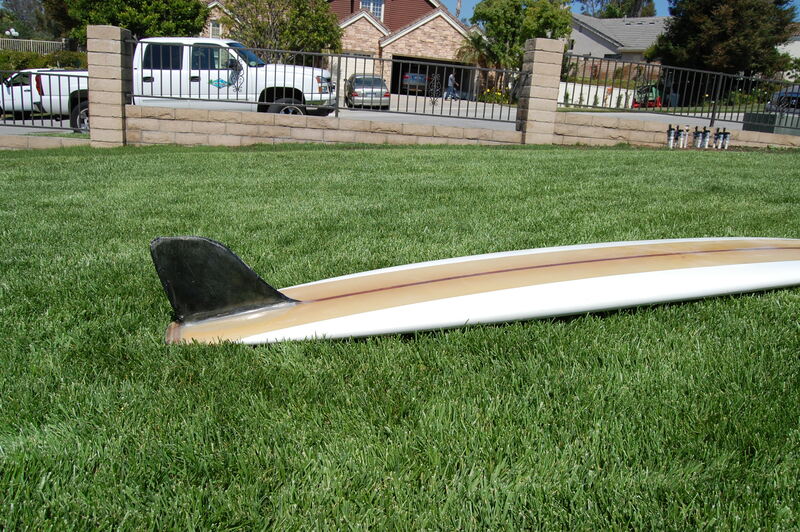 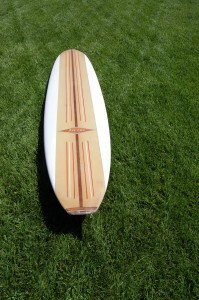 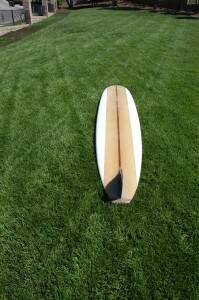 Based on what I know about Bings, I believe your board was made in 1964. 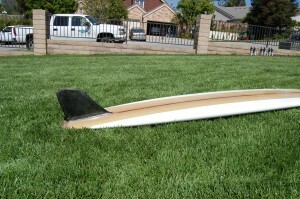 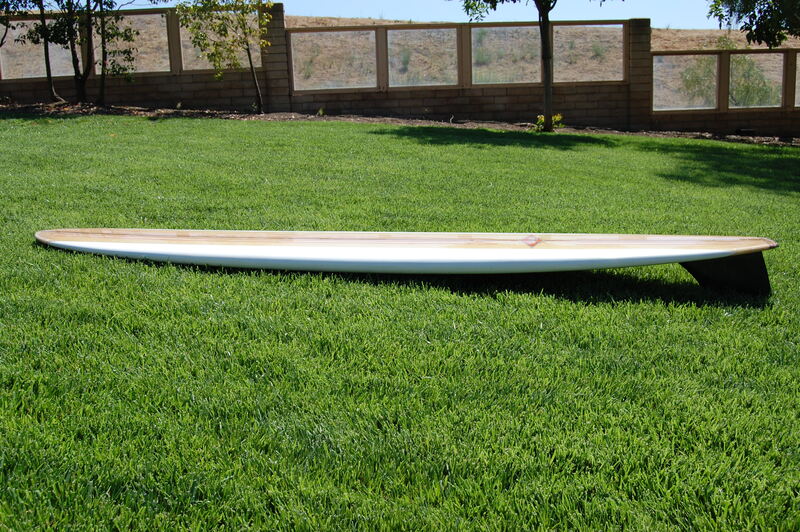 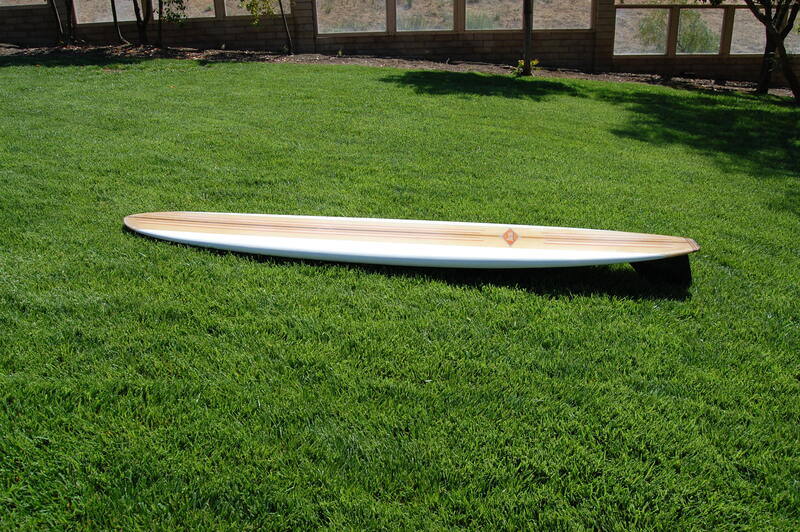 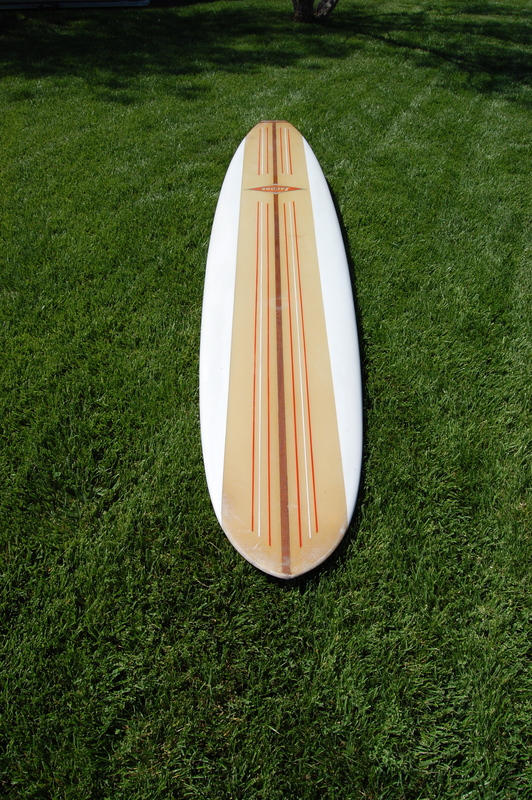 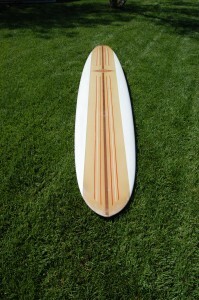 The skeg on your board is the first of the fiberglass fins that Bing and Hap made, and it is the same template of the wood skegs that preceded it. Big and wide with an outward curve on the back of it. 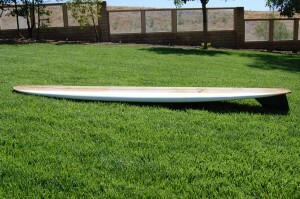 They came in different colors too – black, white, blue and yellow, are the ones I’ve seen most.This tailblock was also common on boards in 1963 and 1964, before the colored foam ones started coming out in 1965.